9. 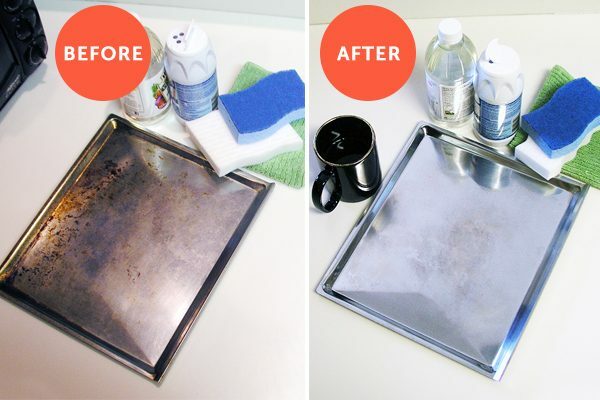 Cookie sheets and other types of bakeware stain easy. Trying to scrub the bakeware clean is pointless, unless you use eHow’s directions on How to Remove Stains on Bakeware.